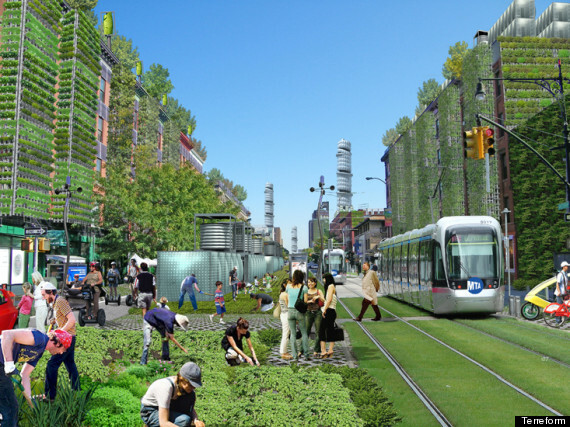 The Terreform Research Group envision a New York City in which streets and avenues would be converted into greenways and farms. New York City is many things, but sustainable it is not. 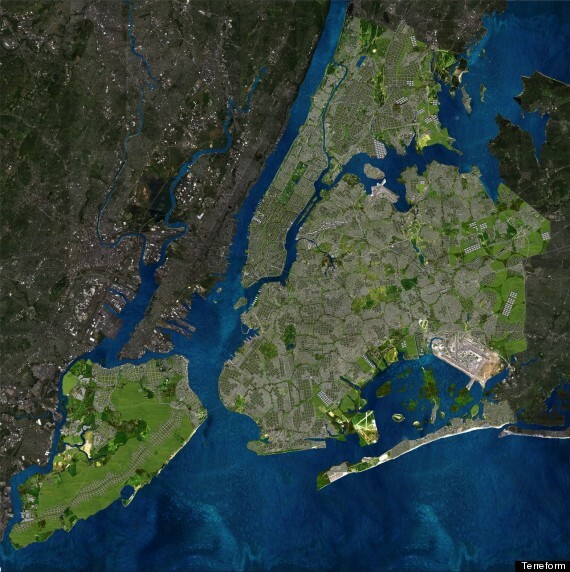 The people of New York City require some 4 million acres of food-producing land -- roughly the size of the entire state of Connecticut -- just to produce all the food they eat annually, according to Terreform Research Group, a sustainable architecture firm. That's a problem, especially since the energy used to transport foods from around the globe to American dinner plate is a significant contributor to climate change. Even food grown within North America travels more than 1,200 miles on average from where it was grown. Those so-called "food-miles" are why researchers at Terreform set out to determine what the biggest city in the U.S. would look like if it could produce all the food and energy needed to power itself. And in a city with so little available space, it's no surprise that figuring out how to pack all that food production within the city limits proved quite a challenge. What they developed was the New York (Steady) State project, a self-described "thought-experiment" that envisions a wholly self-sufficient New York. 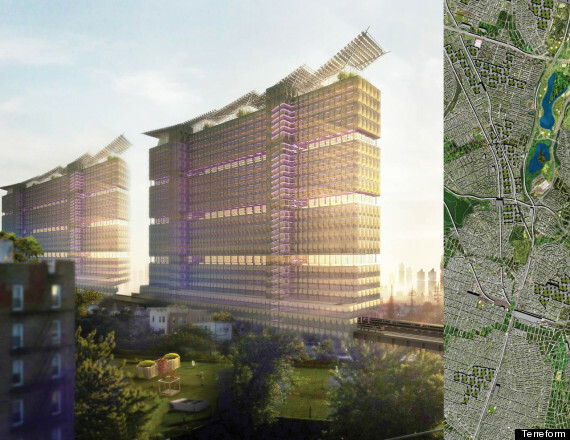 In this dream scenario, the city meets the needs of its citizens by repurposing structures into food-producing towers. For now, the tremendously ambitious plan remains a pipe dream. But the design firm's president, Michael Sorkin, said it provides the city with an "encyclopedic" roadmap to a more sustainable future. 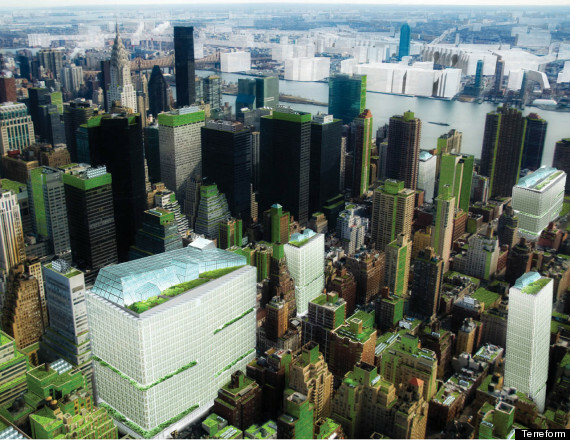 Green roofs would cover nearly every Manhattan building. 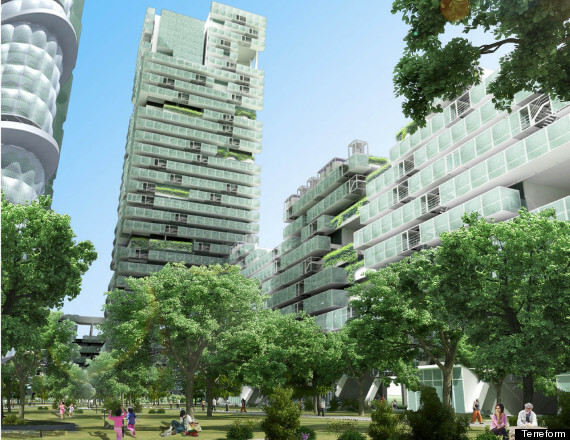 City block courtyards would be surrounded by walls of vertical, outward-facing farms. 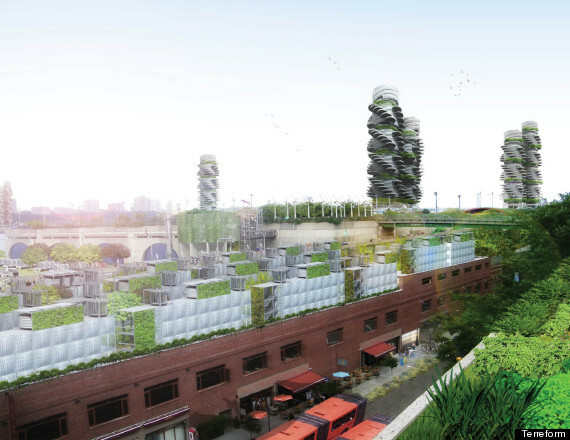 These vertical farms, or "food towers," would have outdoor terraces where livestock could roam. They would also be constructed on top of existing train lines, so that food can be directly loaded into converted trains and delivered to residents. 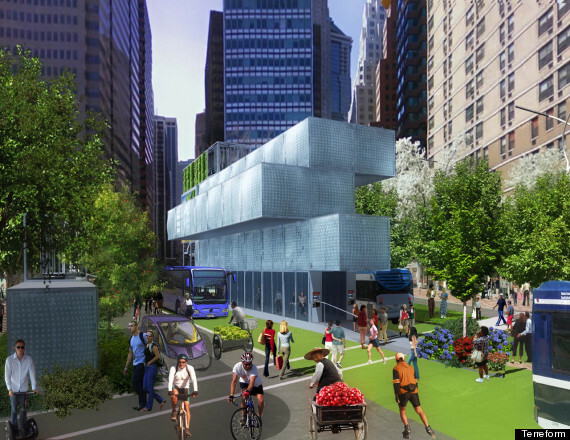 A refurbished bus rapid transit station on Fulton Street would help minimize dependence on cars and taxis. 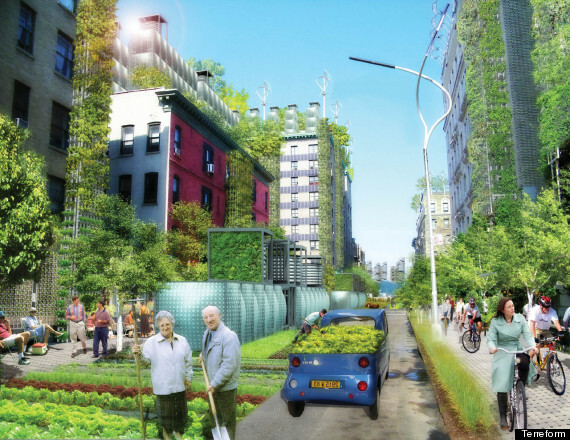 Some roadways traffic would be replaced by community gardens, like on Amsterdam Avenue in upper Manhattan. 147th Street in Harlem would be repurposed for food production and distribution. 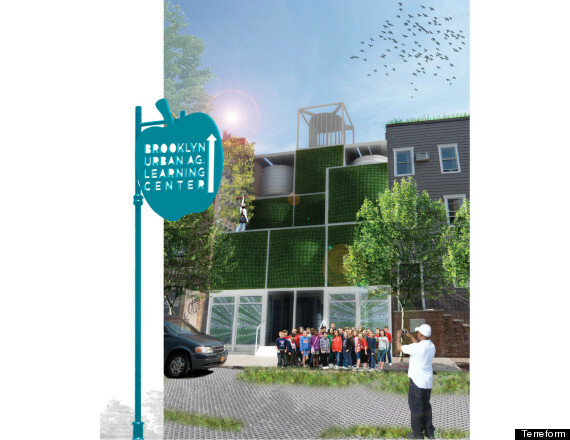 And this center in Brooklyn would serve as a hydroponics education center, teaching a sustainable method of growing plants in water without the use of soil.